Our commitment to safety, quality, performance, and professionalism is the foundation of Grande Masonry’s customer service philosophy. Our dedication to these principles ensures that our clients receive reliable, responsive service, and that the projects they represent are constructed and restored with the utmost integrity. Our team comprises more than 150 skilled craftsmen whose individual and collective expertise spans multiple disciplines. From preserving and enhancing the unique characteristics of New England’s historical and landmark structures, to erecting aesthetically pleasing modern buildings, we deliver a consistent commitment to excellence and a sustained dedication to developing innovative solutions to even the most challenging masonry projects. With a combined total of 45 years of restaurant experience, Lucie & Scott Sinclair opened The North End Pizzeria in April of 1995. The interior is reminiscent of Boston's famous Italian North End. From an antique hutch which houses Italian imports and local artisan, Denise Wilkey's unique and highly prized stoneware, to the many old, fun oddities strategically placed around the dining room, The North End Pizzeria has a warm, inviting atmosphere for all. The Pizza ranges from traditional to specialties like Mexican, Spinach, and Buffalo Chicken. Many of the recipes were created by Lucie & Scott themselves. Calzones have been added to the menu. They are a big hit and the best around! Pasta is cooked al dente and served with marinara or meat sauce made from a family recipe. Be sure to check the menu to see the other items available. The North End Pizzeria offers delivery and is open 7 days a week, Sunday - Thursday, 11am to 10pm; Friday and Saturday 11am to 11pm. Customer satisfaction is of the utmost importance to the Sinclairs who go by the motto -- "If you are not satisfied, please tell us, if you are satisfied, please tell others." 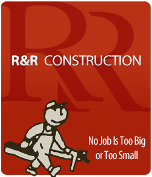 For over 40 years R & R Construction has been a full service remodeling and renovation company in Rhode Island. Our exceptional service to residential, commercial, and industrial clients is evident in every job we have taken and we stand by our work - always. No job is too large or too small. Our commitment to service excellence is unrivaled in our area. We are licensed and insured. A-1 Paving provides premier paving services to customers in Portsmouth, RI and the surrounding areas. Whether you need a new driveway constructed or your parking lot repaired, we have affordable solutions for you. Our friendly and personable staff works closely with you to make sure your driveway, path, or lot exceeds your expectations. Paving services - Driveways, oil and stone, parking lots, sealcoating, asphalt repair, parking lot striping, and more! We're fully licensed, bonded, and insured, so you can be sure you're in great hands! Millstone Engineering is a full service Civil Engineering firm providing professional engineering, land planning and surveying services throughout Rhode Island, Connecticut, and Massachusetts. 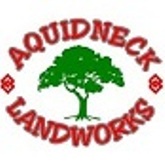 We are a full service landscape contractor offering landscape design, custom masonry, paver systems, grading, site prep, drainage, landscape lighting, horticultural lawn and garden maintenance, and snow plowing. For 20 years Camara Excavating has earned a reputation for superior service and quality. We have the experience, workforce, and equipment to complete your residential or commercial project quickly and efficiently. Our showroom quality trucks and equipment are a reflection of our pride and professionalism. We value the appearance of our equipment and the quality of our work. So whether your needs are as simple as a driveway or as complicated as a subdivison, you can rest assured Camara Excavating will handle your job efficiently and with the highest level of quality possible. Casual eat-in, take-out restaurant plus catering. 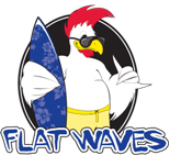 Our goal here at Flat Waves is simple: great food, great price, serve others. For 5 years now we’ve been doing just that. We always use fresh, high quality ingredients, and by skipping some of the frills, we bring it to you at an affordable price for all! Stop in and try our Hawaiian Plates, Fish Tacos, unique burgers, wraps, burritos, Acai Bowls, Shave Ice and more! The only Hawaiian Food in Rhode Island! 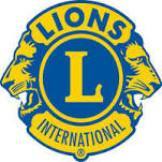 Members of the Portsmouth Lions Club volunteer their free time to conduct a wide range of community service projects and annual fundraisers. We donate all proceeds to local charity, school and youth athletic organizations. Based out of Portsmouth, Bruno Painting is a painting company that provides exterior painting, deck staining and painting, interior and faux painting, paper hanging and drywall services. They are accredited by the Rhode Island Division of Design Professionals.